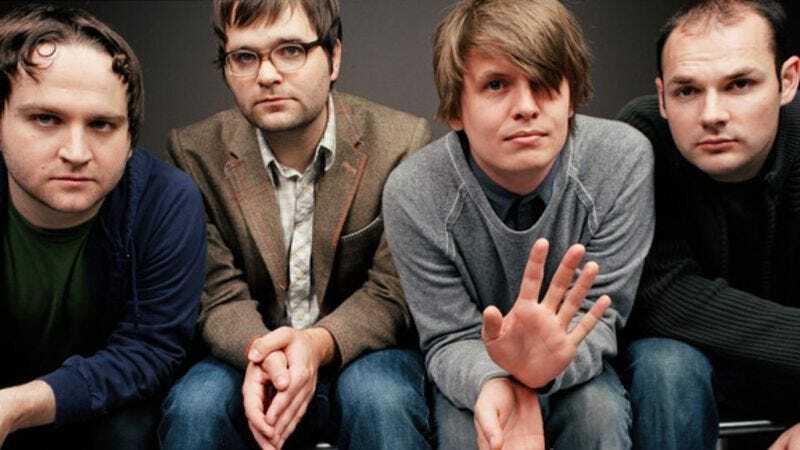 On August 30, 2005, Death Cab For Cutie released its major label debut, Plans. It seems quaint now, but at the time it was somewhat a big deal that Seth Cohen’s favorite band had jumped from their long-time indie home, Barsuk Records, to Atlantic. On the surface, the song is about the romantic, Romeo & Juliet-caliber idea that not even death can stop a couple’s love affair. However, a close listen to the lyrics revealed plenty of subtle Gibbardian twists and turns on that theme: Although there’s an overt reference to fear spurred on by religion, the idea that someone is shuffling off this mortal coil is treated with comforting dignity and respect. The song is as much about easing someone’s passage into the afterlife as it is about eternal love. Still, even the slightly morose subject matter didn’t stop the song from becoming a pop culture touchstone. An episode of Grey’s Anatomy was named after the song, while it was also included in an eighth season episode of Scrubs. (Fittingly, a Mischa Barton-starring 2012 movie was also named after the song.) “I Will Follow You Into The Dark” has also been covered by a slew of bands and artists, including Everclear, Bayside, Stars’ Amy Millan, Christina Perri, Amanda Palmer, Kina Grannis, and, most recently, Natalie Imbruglia. Listen to a few of these covers below, and be sure to have a tissue ready.